Any bus repair center you wish to go for must be able to perform customized modifications and repair to your bus. Some companies require upgrades according to their requirements. Especially those companies that are in the luxury tour business may require specific modifications. Atlantic bus sales and repair provide both modifications, repair and upgrades for various types of buses such as church bus, tour bus, sprinter bus or vans and ASA bus repair and service. Even if your personal or company bus is running up to state’s rules and regulation, there comes a time where it will require some renovation to keep it up to date with the latest technology. Whether it is an installation of an internal equipment or just as simple as a paint job, the workshop should be equipped with all the modern tools and technologies to provide any kind of renovation that the client requires. 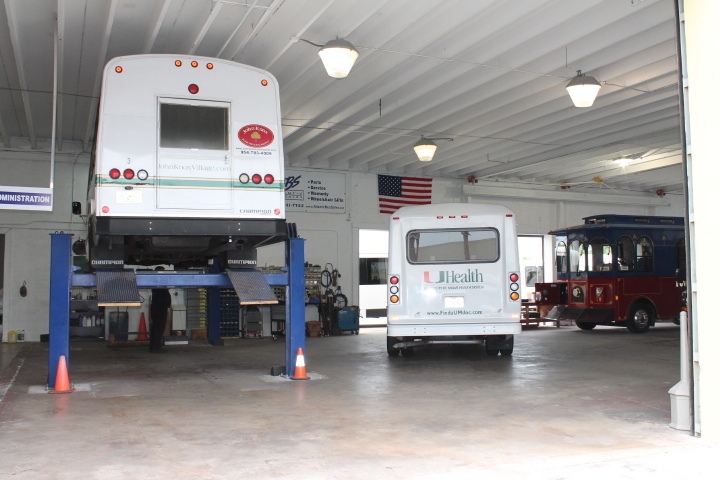 Accidents can happen, but getting the bus back to its working conditions like it used too before is a daunting task that most of the repair shops fail to perform. Bringing back the bus to its right position involves the use of good tools and spare parts that most of the workshops lack. Always choose a bus repair shop that has all the basic essentials, experienced staff and the ability to arrange bus parts if necessary. Another thing that you must consider is the time it will take to repair a bus. Quick repair will mean that the bus can be in working condition and the business can be brought to its normal working order. Most of the repair shops do not have their own warehouse or a storage to store spare parts. The delay in getting the spare parts from dealership or any other shop will result in delay of your bus getting back to road. Your business will suffer each day the bus stays at a workshop. The bus repair shop should not only keep new spare parts but also store used bus spare parts as most of the owner prefer using used ones, as it is cost effective solution. What kinds of bus repair service Atlantic Bus Sales has to offer? Routine maintenance is a requirement for any kind of bus that may or may not be in use. This kind of maintenance increases the overall life of your bus and prevents any sudden breakdowns or malfunctions. Atlantic bus Sales is a one stop solution as we take care of bus repairs, service and spare parts. Our team starts off with full inspection to make sure everything is in working condition. This may include services like, oil or plugs replacement, tire replacement or engine overhauling. Whether it is due to a bad weather conditions, rough driving or an accident, all buses require body work after some time on the road. Not only to keep up to states standards but to attract customers, a good vehicle body expresses itself. The bus should look good if you are in a luxury tourist business where the bus’s body matters a lot. At ASA bus repair, we offer custom body work and repair that brings back the original life of an old paint job. ASA bus repair has many contracts with different manufacturers so that you can claim your bus warranty with us. With all the modern tools and computers on board, we are a certified bus repair shop and guarantee our work that is backed by positive reviews. There is no need to take your vehicle to the dealer and wait several days for the job, just bring the vehicle to our workshop and we will take care of the rest. Tires and brakes both have an expiry and need to be replaced after some time of use. A bad tire or break may result in an accident. ASA bus repair and service will check and replace your old tires and brakes with an all-wheel alignment to make sure the car does not drag on roads. Atlantic Bus Sales work on a philosophy to provide a one stop solution to make it easier for our clients to repair or service their bus with low waiting time. To learn more about how we are different from other companies in the market, click here to get an insight on our processes and work ethics.